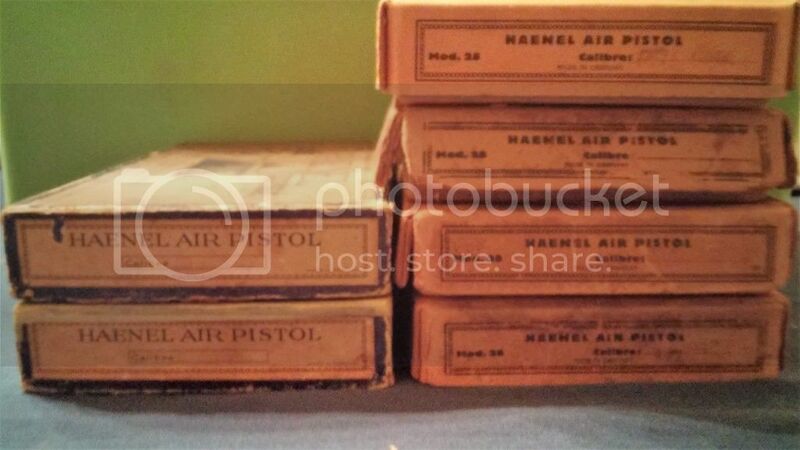 Classic Air Pistol Association • View topic - Highest serial number on a Haenel 28R seen? Trying to estimate how many Haenel 28R repeaters were made. I just bought one with a serial number in the 2500s. Saw a 2700 on the web? Anyone know of a higher number? 45flint wrote: Trying to estimate how many Haenel 28R repeaters were made. I just bought one with a serial number in the 2500s. Saw a 2700 on the web? Anyone know of a higher number? Although not nearly as common as the Haenal 28, I have seen a few of these interesting pistols in my travels. According to The Encyclopedia of Spring Air Pistols (John Griffiths), the highest Ser No at the time of publication was 1786. The book was published around 6 or 7 years ago, so it looks as though many more 28 Rs were produced than had been thought at the time. The highest serial number I have seen on a Haenel repeater is #3,245 which is in my collection. Of the Haenel serial numbers that I have tracked, the Model 28R has the fewest made. I would appreciate hearing about any serial number that are higher than the ones I have listed. USAF25 wrote: The highest serial number I have seen on a Haenel repeater is #3,245 which is in my collection. Of the Haenel serial numbers that I have tracked, the Model 28R has the fewest made. I came close to the higher end of the Haenal 28 range with my boxed example Ser No 23298. Although still relatively low, I'm still surprised at the number of Haenal 28 Rs that were eventually produced. Any chance of seeing a few pictures of some of the items from your collection ? I agree pics please. Beautiful example above!!! Three thousand may sound like a lot but how many collectible ones do we really have left? I have googled pics and I see many with a lot of wear, some with missing parts. Finding specimens that have collecting status has to cut the availability quite a bit. About 6 months ago I purchased a regular 28 that was very clean but when it arrived someone in the past had dug out the leather seal (probably with a screw driver) and broke out some of the breach metal at the loading end of the barrel. I returned it. I get my 28R in a few days and hoping that there are no surprises that 80 years can bring. 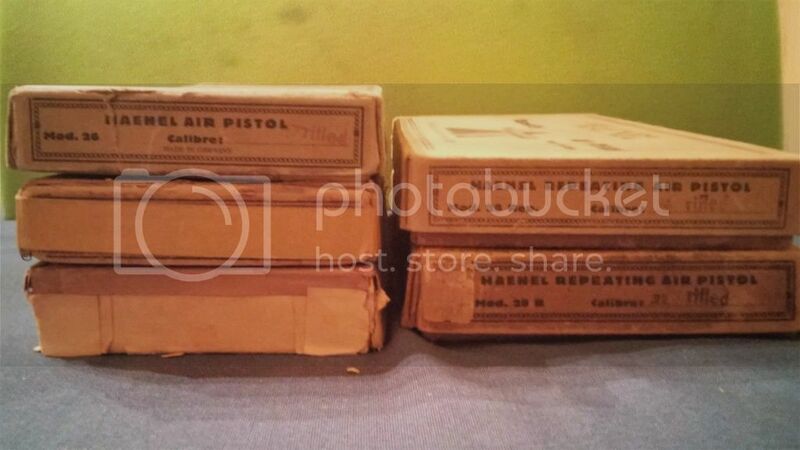 Another issue for me being in the US is how many of these pistols were imported and or came over after WW2. Seems very problematic trying to buy overseas. A few photographs, not the best. Through the years I have owned a number of Haenel air pistols, though my favorites are the Haenel Super MOD 28 and the Haenel Model 50 & 51. I have read about the Super but curious are their any differences besides the name and the insignia? Thanks for the pics much appreciated. Looks like I have some catching up to do. Looks like from your handle you were or are in the USAF? Did you do all your collector in the states or were you stationed in Europe? 45flint wrote: I have read about the Super but curious are their any differences besides the name and the insignia? Thanks for the pics much appreciated. Looks like I have some catching up to do. Looks like from your handle you were or are in the USAF? Did you do all your collector in the states or were you stationed in Europe? I served 26 years in the Air Force and was stationed in England from 1978 to 1982. 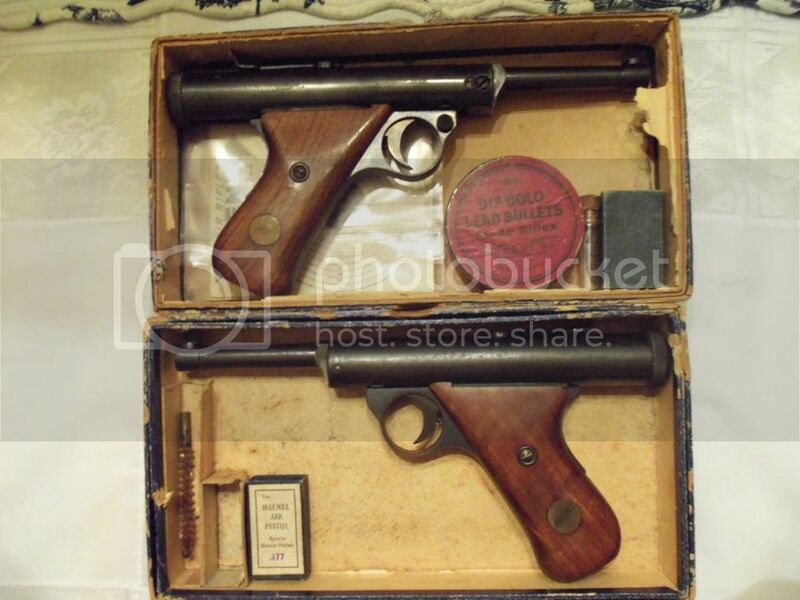 I actually took a break from collecting from 1978 to 1984, the only pistol I bought was a boxed Gat from Dennis Hiller. Looking back, I missed out on several great opportunities but that is life. 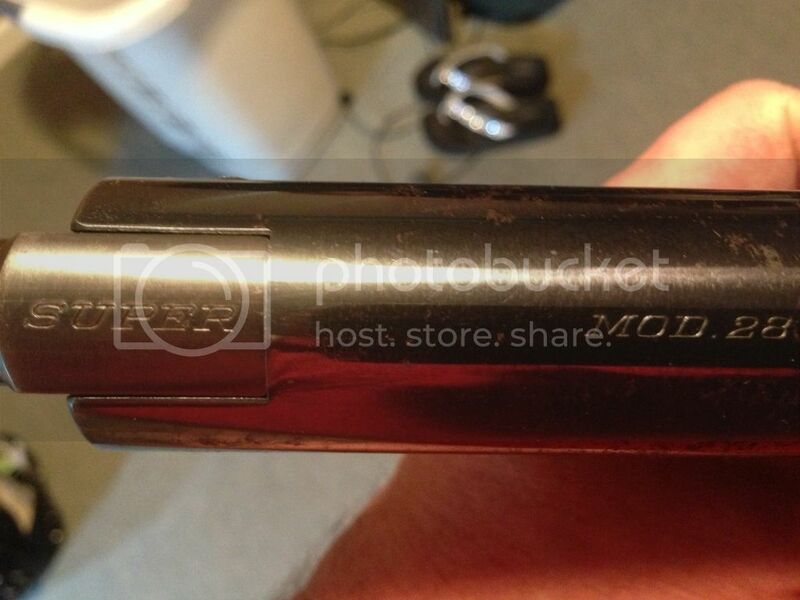 The markings on the top of the barrel and frame are nicely marked. There is very little information out there on the Super Model but I'm sure someone out there has a nice boxed example that they will share with us. It took me decades to get my first Haenel Super, the second one came 5 days later. You just never know what will turn up and when. Thanks for sharing the pictures of the Haenel pistols from your superb collection, Don't think Iv'e seen so many Haenel boxes in one place ! 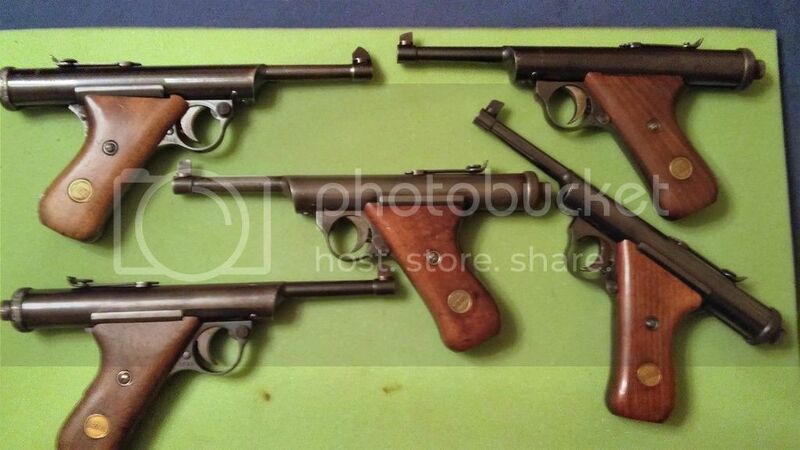 My main interest is in early British spring powered air pistols, but I couldn't resist adding a few German models Tell, Haenel etc. 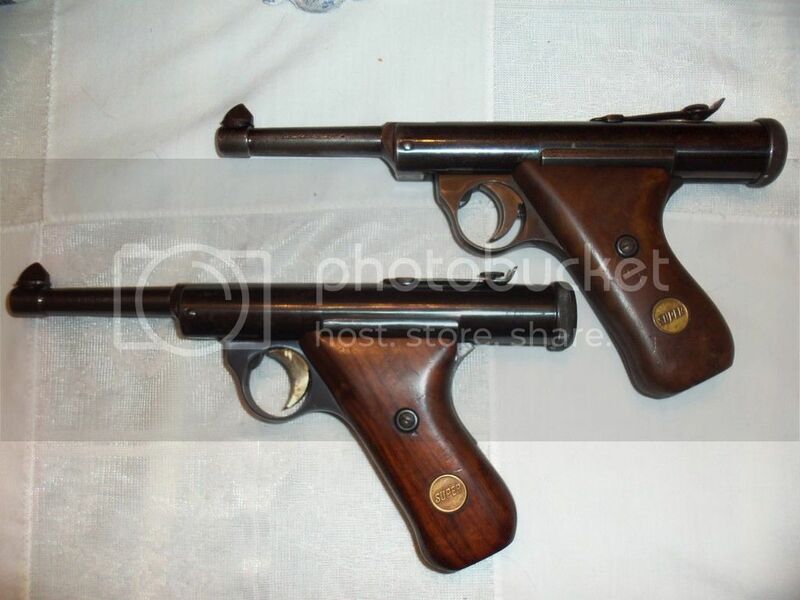 I have a number of quite unique cocking systems associated with British pistols, but this Hubertus is the quirkiest German air pistol I have in my collection.